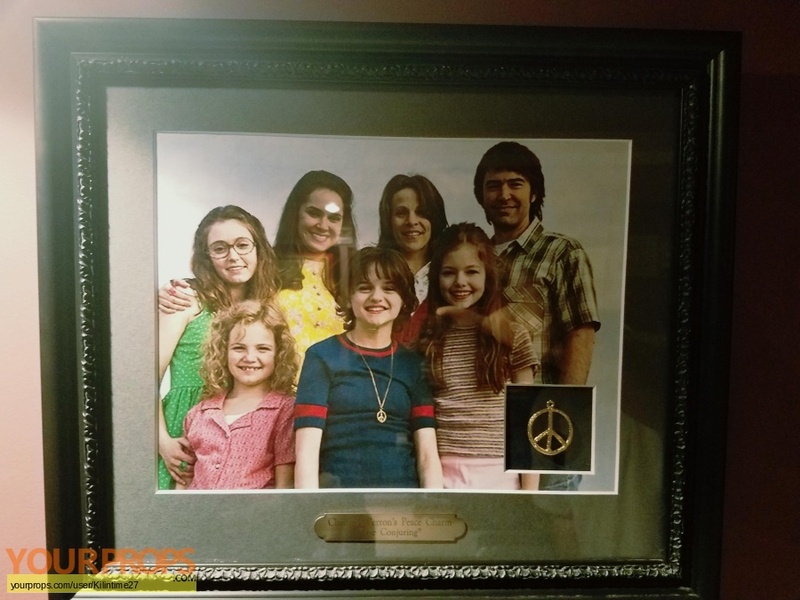 Christine Perron's screen worn peace charm from the 2013 horror film, The Conjuring. Christine Perron (Joey King) wears this charm throughout the film. Displayed in a custom frame with name plaque. Came from Roxy Deluxe Costume Rentals who supplied the film's wardrobe. Thank you to my friend and fellow collector for finally letting me talk him into parting with it.